The Osborn Cannonball House Museum, located at 1840 Front Street, Scotch Plains, NJ 07076, will be open on Saturday Oct 19th 2013 from 10-5 and Sunday , October 20, 2013 from 12-5pm as part of the Union County Four Centuries in a weekend historic sites tour. We will be featuring a display of news articles and period clothing of “Lincoln/Kennedy: Two Eras, Two Assassinations,” one hundred years separated two presidential assassinations so much in common, so different. Also view our newly acquired 1880’s Mason and Hamlin reed pump organ. 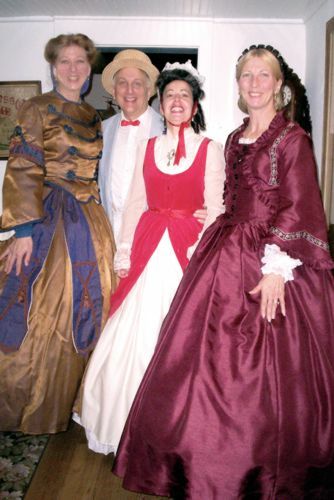 Costumed guides will conduct tours.